Microsoft just announced that PUBG (PlayerUnknown’s Battlegrounds) registered over one million players in the first two days since its debut on the Xbox One Game Preview program. That’s a mighty impressive number, especially once you consider that the game’s optimization on the platform has been widely criticized. Still, the blog post mentions how the game will soon receive new enhancements, content updates such as the desert map Miramar which recently debuted on PC, and optimizations. The latter point would be the most pressing in this case. 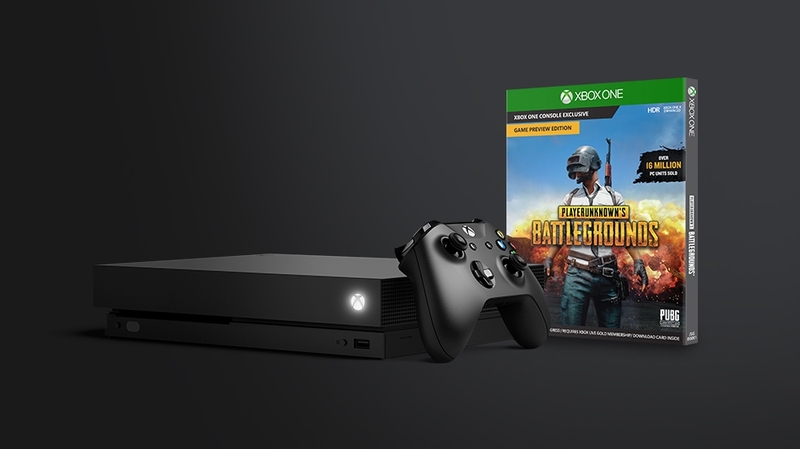 Perhaps the even bigger news is that Microsoft is choosing to ride the wave all the way through by bundling the purchase of an Xbox One X from December 17th to December 31st with a free copy of PUBG. Does this deal increase your likelihood to get an Xbox One X during the Holiday season? Let us know in the comments.